Rediff.com » Getahead » Ariana-Pete engaged: Can you feel their love? The Internet is divided over the future of this new relationship. 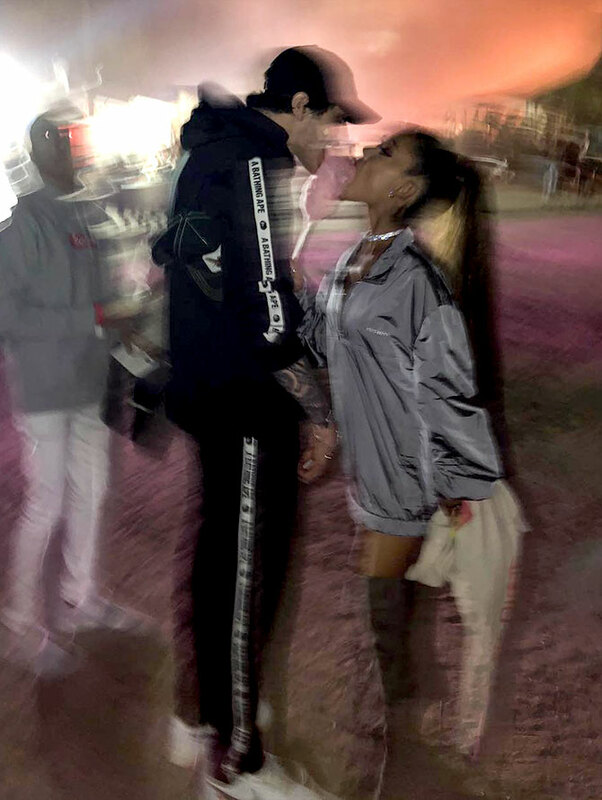 Ariana Grande and Pete Davidson are much in love. 'i thought u into my life. woah ! look at my mind,' Ariana wrote on her Instagram. We live in times of uncertainty where relationships are being made and broken by the hour. If you are logging in just now, here's a quick roundup. American singer-actor Ariana Grande and actor-comedian Pete Davidson broke up with their respective partners some time ago. The singletons started dating each other in May. We saw them go clubbing together, pose candid pictures, sport what looked like matching tattoos... And in less than a month, we were told the two are reportedly engaged. "It's a recent engagement. They're just two people who found love quickly and make each other happy all the time. They both started talking about it this past weekend. It's nothing they've been hiding," People magazine quoted a source. WTF? Yeah, exactly our thoughts! Davidson was previously in a relationship with Cazzie David and Carly Aquilino. Post the engagement, a friend of the latter reportedly texted Aquilino, 'I know I'm the 9 billionth person to text you about this, but... I can't.' Aquilino posted the story on Instagram in which she'd replied, "HAHHAHAHAAH." 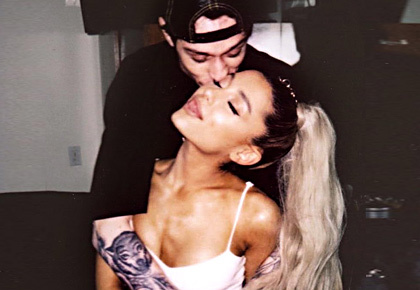 As for fans of Ariana and Pete, the Internet is divided over the future of this new relationship. But the two continue to display PDA on their social media. 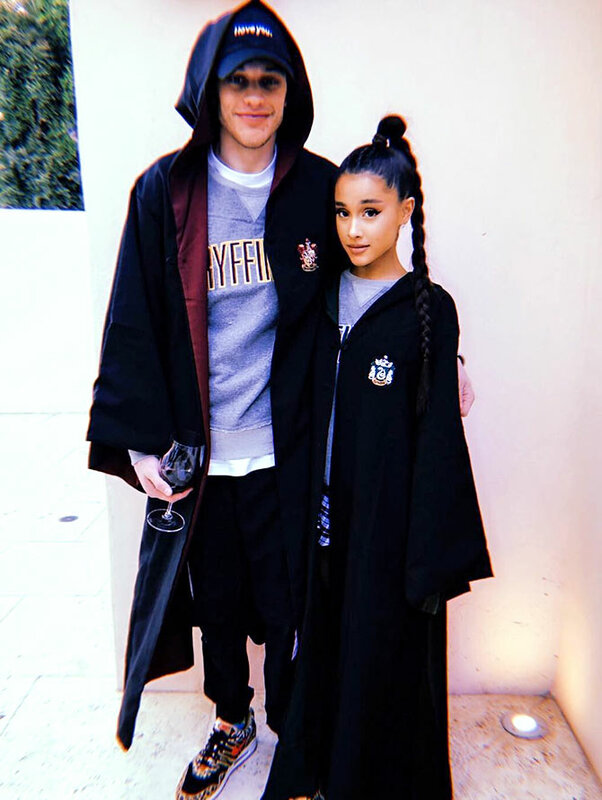 The two are seen posing together in matching Harry Potter inspired outfits. 'The chamber of secrets has been opened,' Pete captioned the picture on May 30. 'Feel the love' Davidson wrote about this photograph on June 8. 'You know what you’d dream it be like ? it’s better than that, Davidson wrote against this photograph recently. The two can be seen locking their fingers flaunting their tattoos. 'So much better' Ariana Grande commented in response.